PayPal cofounder Peter Thiel steals the show at RNC Convention. 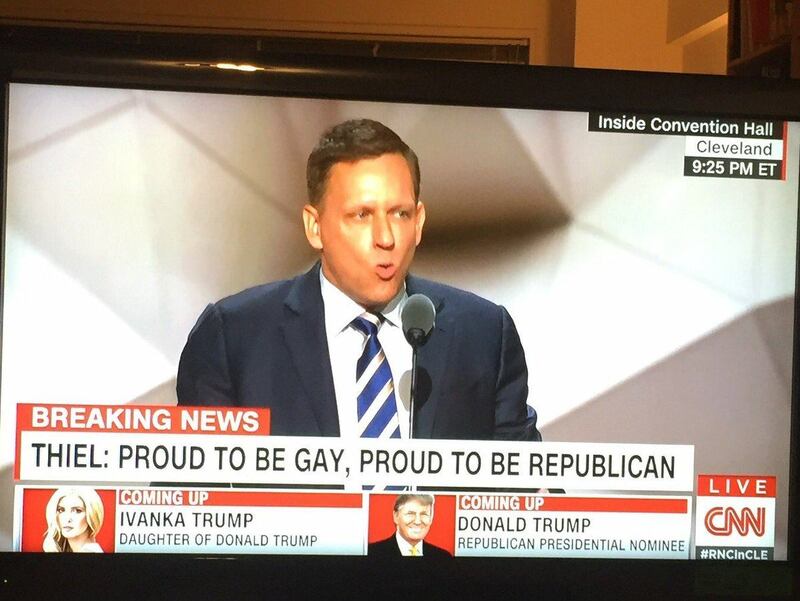 Thiel came out as gay and the RNC gave him a STANDING OVATION! Peter Thiel: I am proud to be gay. I’m proud to be a Republican. And, I’m proud to be an American. THE REPUBLICAN CROWD GAVE HIM A STANDING OVATION!!! And they started chanting — USA! USA! USA!